Companies are in a competition to attract and retain the best and brightest employees. According to a recent Wall Street Journal article, there are more job openings than job seekers. The competition is occurring in an environment where unemployment is at an all-time low and top talent is hard to attract and retain. Employers are also beginning to realize that the competition to attract and retain the best employees no longer is confined to offering a competitive salary and benefits package. For nearly 60% of today’s employees, there is an expectation that corporate America and CEOs should play a more active role in addressing some of the most systemic societal issues facing the country. In a new study of U.S.-based Fortune 1000 employees conducted by Povaddo, this point of view is consistent across employees of all ages, gender and geographies. Consistent with a similar study conducted by Povaddo in 2017, the 2018 report findings reinforce the fact that the degree to which employees believe their company and CEO are making meaningful attempts to address societal issues factors into their willingness to work for or remain at their company. Failure to do so could impact talent acquisition and retention in the short term and competitiveness, productivity, and reputation over the long term. For instance, employee replacement cost can range from 20% to 200% of an employee’s annual salary, making turnover very expensive (source: SHRM). Want to find out which demographics think CEOs should be more vocal on addressing societal issues? Historically, top executives have assigned little weight to employee alignment around issues when public policies are set, and when deciding whether to take a public stand on them. However, as in last year’s study of opinions about CSR in corporate America, varying degrees of social engagement exist within the U.S. workforce, including 17% of employees having said they have personally acted inside their company to bring attention to an important societal issue. A recent example of employees flexing their muscle can be found in Google’s announcement not to renew their contract with the Pentagon on artificial intelligence – over 4,000 employees signed a petition demanding a “clear policy stating that neither Google nor its contractors will ever build warfare technology.” While the sentiment may not be shared nationwide between employees and management across industries, this example illustrates the ways in which employees can influence management decisions on public policy issues. 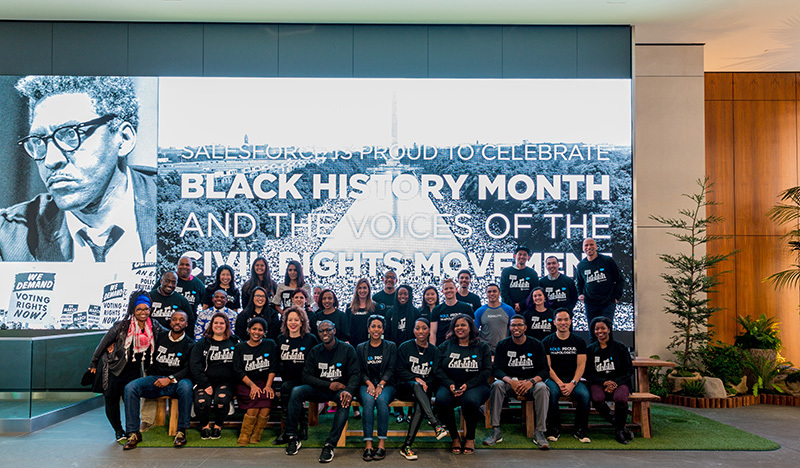 Salesforce employees celebrate Black History Month. While the findings show strong majorities of employees want these impact opportunities at work, most companies are playing catch up – both in terms of providing these opportunities and the type of tools an emerging subset of employees want to use to make a difference. A majority of employees of all ages say they would be likely to take advantage of paid time off to volunteer their time, ranging from 62% of Boomers to 79% of Millennials. However, less than half of all employees say their company offers this opportunity. The study also found that the majority of companies do not offer technology to manage giving and volunteering, and those who do, are not offering applications that are in line with end-user expectations. Significant majorities of employees who feel their company encourages them to support causes they care about are more likely to recommend their company as a place to work, more likely to stay longer, and more likely to increase their overall engagement at work when their CEO makes a real effort to address an important societal issue. Yet, despite these findings, only thirty-seven percent of employees say they feel encouraged to support causes they care about. These insights continue to paint a picture on the degree of transformation that’s coming to the workplace. In established companies, Millennials and women are moving into and up the organization as Baby Boomers retire. In young companies, they are the workforce and they are flexing their muscles. 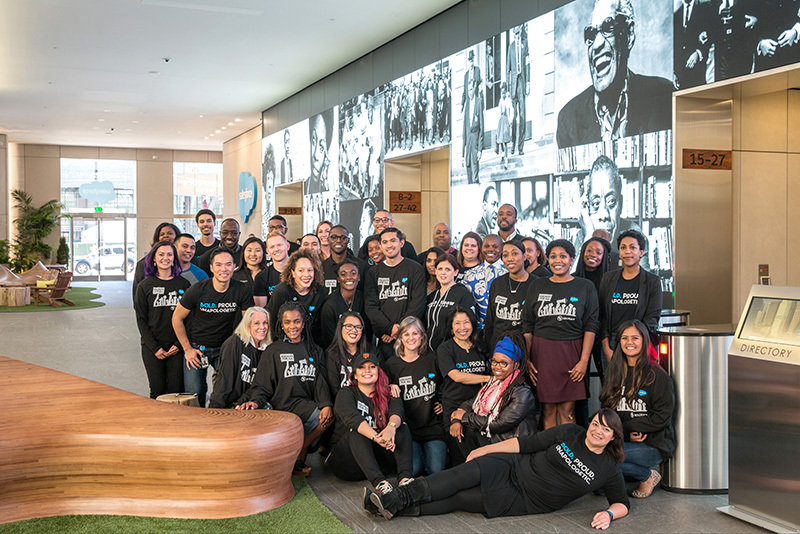 These employees are bringing their passion for causes into the workplace and expect management to respond to their expectations with new behaviors both inside and outside the workplace. With respect to recruiting, retention, and engagement, women are more likely than other employees to reward meaningful action on societal issues from their employers, in some cases by a margin of 16 points. While the relationship between management and employees is not akin to the relationship an elected leader has with her constituents, it is a good analogy to frame the changing nature of this relationship – increasingly, more employees view their employers as representative of their shared values with the responsibility to collectively make a positive difference in society. Recognize that an increasing number of employees view their employer not just as a place that promotes diversity and inclusion, but representative of their shared values, with the responsibility to serve and positively impact society. 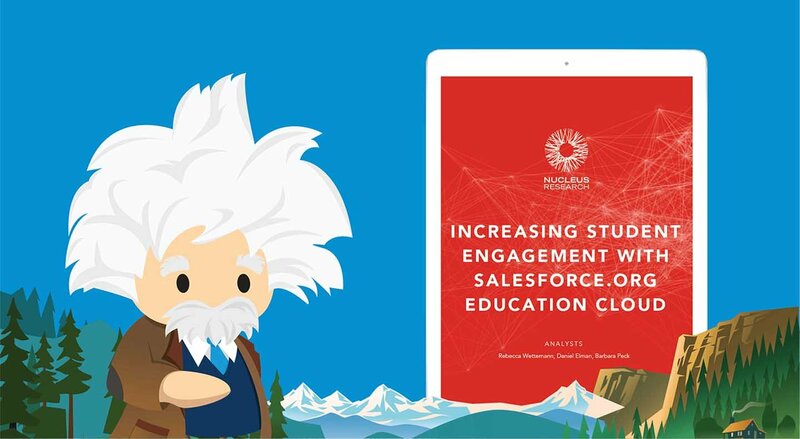 Devise employee engagement efforts that connect with employees’ desire to make an impact. Create new and innovative programs and policies for employees to fulfill their desire to make a positive contribution to their workplace and their community. 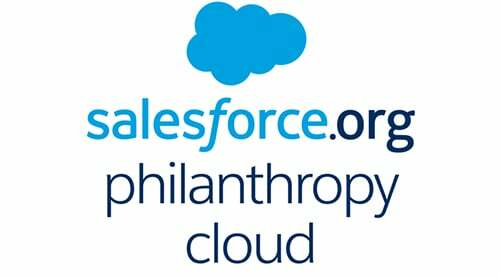 For more best practices on corporate philanthropy and employee engagement, contact us to talk about getting started or scaling up your employee giving and volunteering efforts with Salesforce.org Philanthropy Cloud.